As TIM GALLAGHER was working on his book The Grail Bird, he was among the first to sight the long-thought-extinct ivory-billed woodpecker in Arkansas, which led to a multi-million-dollar effort to confirm the sighting and protect the bird's dwindling habitat. The sighting changed the direction of the book, for which Gallagher won the Outdoor Writers Association of America's Best Book award for 2005. Gallagher is editor-in-chief of Living Bird magazine and of the Journal of the North American Falconers' Association. "This is an extraordinary story of one man’s obsession, a tale of passion, brutality, tragedy, and redemption. 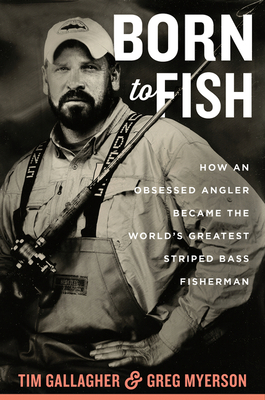 It’s a book about a love of fishing that tackles the deepest themes of life and family, of history, education, masculinity, and America, and shows us not only how the natural world can be a place of grace, but a soul's complicated and beautiful saviour."